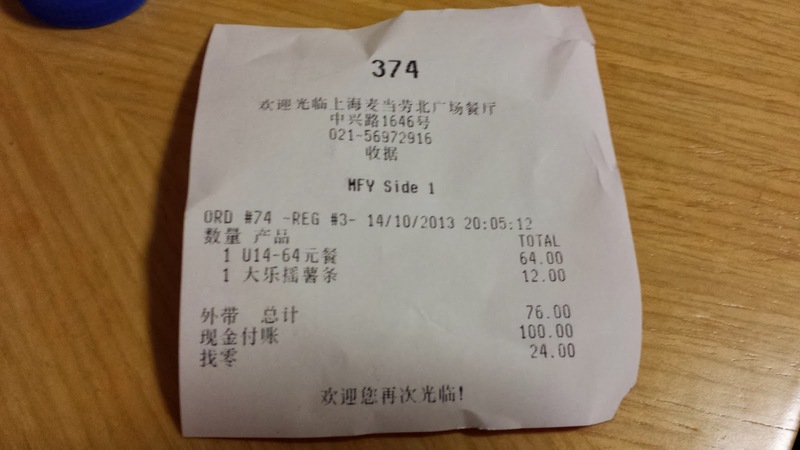 My wife and I transited Shanghai en route from Uzbekistan to Tonga. Though I've been to Shanghai a number of times, she had actually never been before, so the original plan was to spend the night, and go explore the city for a little while before flying to Auckland the following day, but since she was somewhat under the weather, and we were both VERY tired after the redeye from Tashkent, and spending the afternoon in Seoul, we didn't leave the hotel for more than a couple of hours. While she napped in the hotel, I went out in hunt for the nearest McDonald's so I could try their new range of promotional items, I was prepared because I downloaded the coupons from their website, and there was a dinner coupon which included one of each of the new items, which was perfect for me, but since this was enough food for at least 3 people, I brought it back to the room in case she got hungry later. 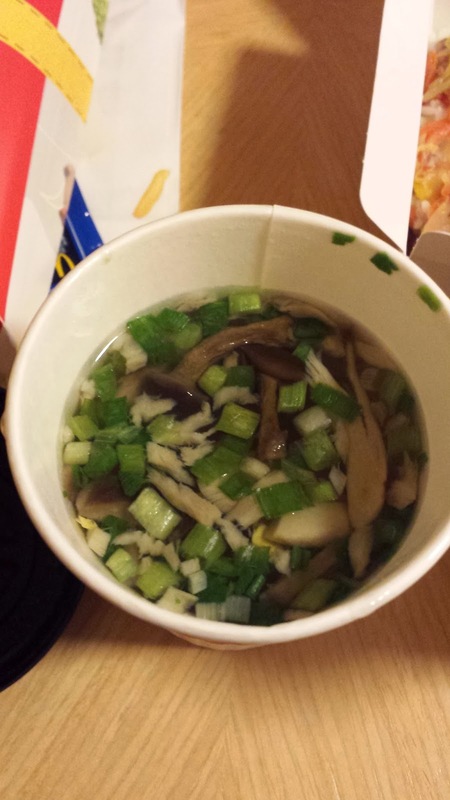 She was awake when I got back, and though at first she wasn't interested in having any McDonald's whilst she was sick, the smell of the new Mushroom Soup awoke her appetite. 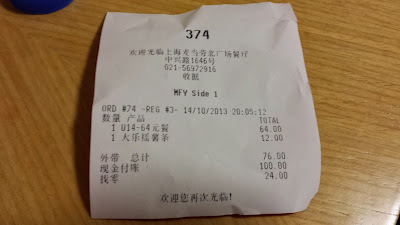 Readers will know that I despise anything with Mushrooms, and McDonald's in HK/China seems to love putting mushrooms on their promos, but luckily my wife loves mushrooms, and she quite enjoyed this promo. 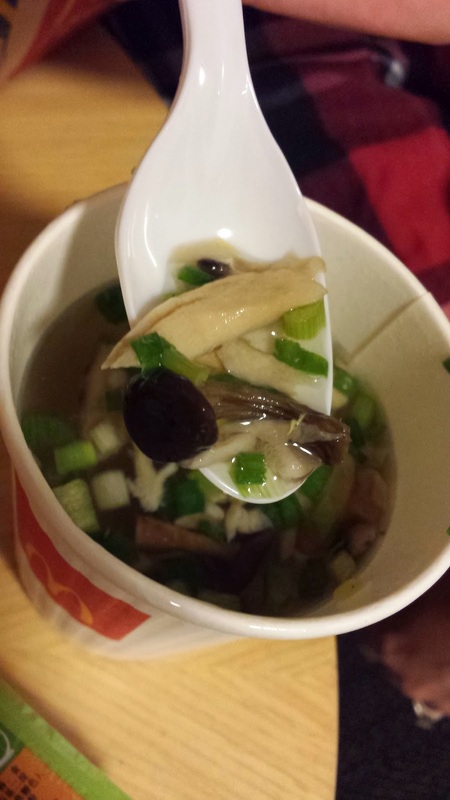 She even made me try a spoonful of the broth, and I'll admit, it didn't taste all that bad, but that was most likely because it wasn't a mushroom broth but some type of a vegetable stock. The mushrooms looked, and apparently tasted fresh, but apart from that, I'm going to have to defer my rating on this item, since I didn't really eat it. None of the 4 other promo items I had in China contained mushrooms, so I'll be giving a full review on those later. 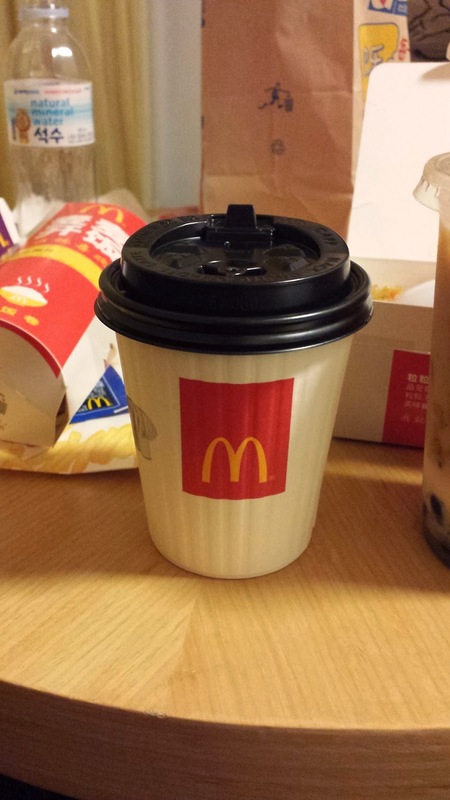 Looks like coffee cup for soup... interesting.